I welcome you all as we celebrate the Feast of Pentecost. You see this window here in the Cathedral, or indeed any stained glass window. At night they all look the same but when the light shines through they are shown up in all their splendour. Likewise when you enter a dark room it is so easy to stumble over chairs and tables. When the room is illuminated however you can pick your way in a more surefooted manner. In life itself we are confronted with situations which seem confusing and contradictory and we wonder where we are going and what the outcome might be. At times we may feel quite helpless in these kinds of circumstances. Today we celebrate the coming of the Holy Spirit on this Feast of Pentecost. The night before he died Jesus, aware of the implications for his followers of his forthcoming death and eventual return to his Father in Heaven, promised that he would not leave his disciples to make their way in this world on their own and would send the Holy Spirit to guide them on their journey. In that sense the Holy Spirit gives expression to the on-going presence of Jesus with his followers. This is what we celebrate on this Feast. At this time of year many young people will be facing examinations. It’s a time of anxiety for many as they endeavour to cram for what is ahead of them. For others there is the fear and frustration of what course to take in pursuing a career. Apart altogether from students there is among adults and particularly among parents the worry and the wondering as they endeavour to educate and provide for their families. All of this can leave us feeling vulnerable and rather helpless. Jesus reminded us that he would be there and we would have access to him as one who shares our concerns and is anxious to support us. At Confirmation we received the gifts of the Holy Spirit. Pentecost and Confirmation are not once off events. The spirit is available to us whenever and wherever we invoke him. On Friday next the people of Ireland are confronted with a hugely important decision. On Mother’s Day, 11th March, I wrote a Pastoral Letter to the people of the Archdiocese in which I addressed the issue of supporting Unborn Human Life. That letter was distributed and brought to the attention of our people through the priests. In it I tried to alert people to the central issue which is the destruction of human life. I referred to the confusion and contradictions which would be generated. For example, there has been an attempt to tell us that being pro-life can make provision for abortion. Much of this is presented as an expression of compassion. However, compassion can never be identified with the taking of innocent human life. We are in a more privileged position than those who have gone before us in that through medical science we are given an insight into the development and growth of the baby in the womb. This clarifies for us what is really involved in abortion. I realise that this is a difficult time for so many. I in no way wish to cause anyone to feel guilty about their past if they have taken another course.  The Church, following in the footsteps of Jesus Christ must reach out to support all who find themselves in difficult situations and do so in a non-judgemental fashion. It is very encouraging to see the numbers of people who have given their time voluntarily to canvassing for the support of unborn human life, those who attended rallies and all those who have generously supported pro-life cause by their prayers and many other ways. On the eve of Pentecost I ask you to invoke the Holy Spirit to direct the people of Ireland to be pro-life in defending the baby in the womb. I will be voting No next Friday and I pray that you will recognise the challenge facing us to protect unborn human life by voting NO in the forthcoming Referendum and encourage your family and friends to do likewise.